Yep, but Jeff's icon indicates anti-clockwise (undo). I think I need a more "indeterminate" icon that can represent both. Undo is an "undo this action" action. Reload is an "update the data". You can't represent both with similar symbols, they are completely different actions. It sounds like you have them on the same button, which is even worse. The only case in which it would be appropriate would be if undo button was to undo the reload the data action. At which point the user has stagnant data, which I would assume your app doesn't do...? · Jeff T and Edwin v like this. Well, it sort of is like stagnant data. CTRL+Red Button reloads the original unedited data. (easier that closing and opening the file again). 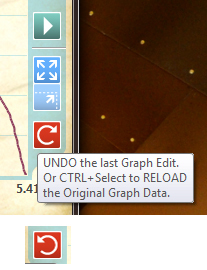 Selecting the button without CTRL simply undoes the last edit made to the graph. To me the function is fine, but the representation is not. IMPORTANTLY, any saved changes made to the graph are never finite. The user can ALWAYS reload the original graph data. It's a safety thing. That's up to him, he said he didn't want to add another button. Yeah, it's a tricky one. I know I've gone about this in an "arrrse-about" manner, but it's the way I wanted to do things from the very beginning. It was essential that the "original" data cannot be lost. 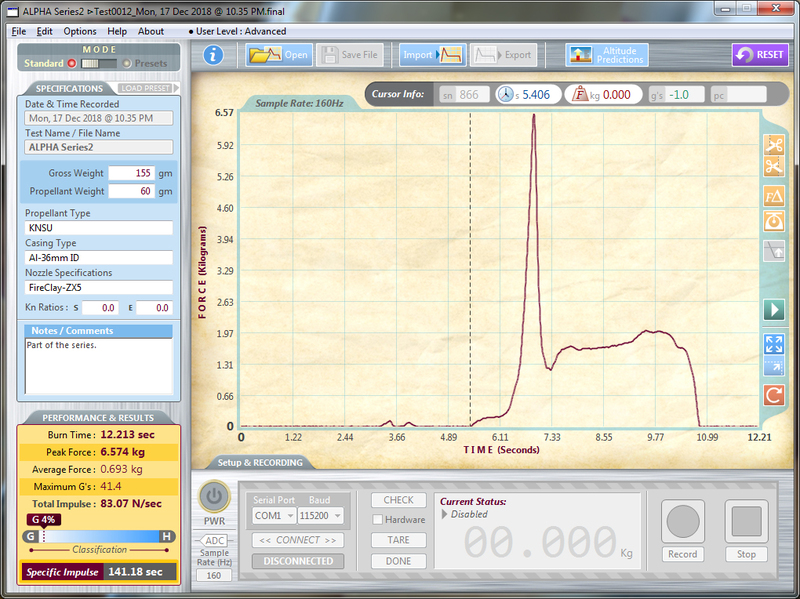 So when the user creates the graph, it is saved in a "secret" location :). No filename is required either, it has a time/date stamp. The user can edit the graph willy nilly, it has one level of undo. If they screw up, the the original can be re-loaded. The original data is NEVER changed or lost. This relieves the user from having to think about making a backup. Simple, Easy. The ICON that represents that, is in question. Maybe something more ambivalent? There must be a more appropriate icon, and that's what I'm asking here. Perhaps your terminology is slightly off? Does this accurately describe the functionality? If there are no other options, I think the symbology is correct. @Tim P That's up to him, he said he didn't want to add another button. And I won't be adding another button. I go by this philosophy: Every and any step introduced into a procedure or system, programming or otherwise, introduces another potential point of failure, just by being there. So best be careful about the steps, and try to drill down into what is only "necessary" to make that system work effectively and efficiently. For the User or the Developer. Whats the difference between 'reload newest data' and 'load data'? Still feels like a fundamental concept issue here. Those actions don't belong on one button. It's understandable, but - I cant help feeling you are justifying this because you don't have much screen estate and you don't want to lay out the screen again. A live refresh solves the problem. When a setting is amended, refresh the graph. If the settings are reverted, refresh the graph. @Jeff T . . . I cant help feeling you are justifying this because you don't have much screen estate and you don't want to lay out the screen again . 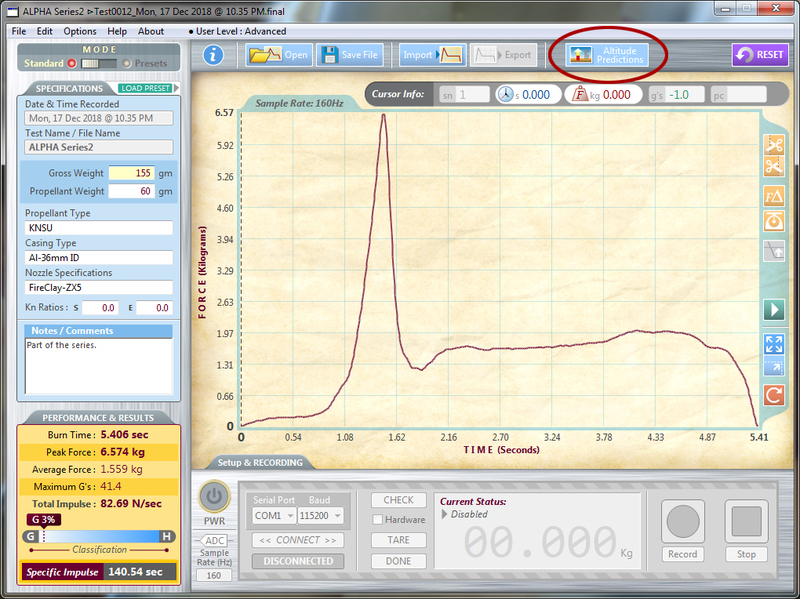 . .
Down the right hand side are the graph editing icons. It's not finalised, and I made sure to leave space for other potential un-forseen icons. Perhaps this is the "un-forseen" case where I need to add another icon. Perhaps I shouldn't have said "And I won't be adding another button." Seems like adding another button may be the best way forward afterall. I don't want them both red though - or should they look the same except one in a mirror image. Complications, complications perhaps. Clarity is best. If you have a button to reset the settings, it belongs (on the left?) where the settings are. From that screenshot, I would assume the graph should always represent the data with no refresh necessary. The undo/redo/reload actions should be on the data editor. Edit: Possibly a label on the graph to indicate whether it's prediction data or the original data. Edit 2: You'd then be able to remove the reload button, giving you extra space for more unforeseen buttons. It's a simple x/y graph. It has to be manually trimmed (topped & tailed ie. left/right, at the point of interest). It's not a video or audio file. Simple trimming using the available tools. Auto-Trim would be good. Leave a space for that later (version 2.0). Something important that I forgot to mention is that I'm Left Handed and also somewhat ambidextrous. Therefore (seriously), when I look at the red icon in the graph editing panel as it is now, I think UNDO. But if I think about a clock, then of course it's not correct. Then it means I have to think about it. So even if I had 2 buttons (undo and re-load), I would not be sure which was which. From a quick read of this thread, it sounds like you have "Undo" and "Undo All", in which case an accelerator key with Undo would be appropriate. However, in either case, the arrow should be counter-clockwise. Just my 2c. Therefore (seriously), when I look at the red icon in the graph editing panel as it is now, I think UNDO. But if I think about a clock, then of course it's not correct. Then it means I have to think about it. Not that I'm diagnosing you, but dyslexics may also suffer from a similar issue, and you are not alone. If we can find a way to remove that symbol from the graph area, I think that would improve the user experience. Would you be able to record a video of average usage of these features? The hard part about UI and UX design is that it's specific to how an app is used. I don't think we're understanding how the features are used well enough to make the best recommendations for this software. The recommendations Jeff and I are making are heavily influenced by a data to graph paradigm. With this design paradigm, it's inappropriate for a graph to have an undo button as the undo action applies to the data. What does RESET do, then? @Tim P Not that I'm diagnosing you, but dyslexics may also suffer from a similar issue, and you are not alone. If we can find a way to remove that symbol from the graph area, I think that would improve the user experience. That is bizarre and a great idea Tim. Would you believe, I've spent a good deals worth of today looking at video editing software solution for the purpose to create a video recording and simply lay over text etc. I have IceCream Recorder. It's great and perfect to my requirements for screen capture. So, then I have to look for software to make a "composite", ie. add title, audio etc. DaVinci Resolve looks great, I'm half-way there having used Adobe Premiere. Unfortunately DR doesn't work on Win7. I'll need to decide which way to go. RESET simply resets the entire application to the defaults as if you quit, then restarted. Perfectly Simple. Saves time. That's why the button is located in the top right corner coloured purple, so as not to be confused with anything else. @Tim H From a quick read of this thread, it sounds like you have "Undo" and "Undo All", in which case an accelerator key with Undo would be appropriate. However, in either case, the arrow should be counter-clockwise. Just my 2c. Maybe I've come almost half full circle (180deg mirrored). Metaphorically and in reality. Yep, given all possible solutions, simply changing the icon to the anti-clockwise version is the best and simplest way. UNDO/RELOAD same sort of thing. No need to change the code either. No need for an extra icon/button. Steve Kelepouris = Sometimes "Can't see the forest for the trees, Dumb dumb dumb". . . . . I would not have resolved this without going through this process. Thankyou to everyone. Of course my software solution is unconventional and lacks basic standards for good design, but Xojo made me do it :).